Melke is a wraith, which means she has the abilty to walk unseen. After being forced to steal a necklace, she is hunted down by the victim of the crime, Bastian sal Vere. He explains that the necklace was strung with tears, and that without it, Bastian cannot break the curse that is destroying his family. He orders Melke to regain the necklace, in exchange for her brother to be healed. But she had given the necklace to the salamanders, the fire breathing creatures that live underground. She must risk her own life. Meanwhile, Bastian becomes involved in solving a brutal murder of a young pregnant girl in the town of Theirry. This is a strong character-based fantasy, full of romantic tension and gritty storylines. 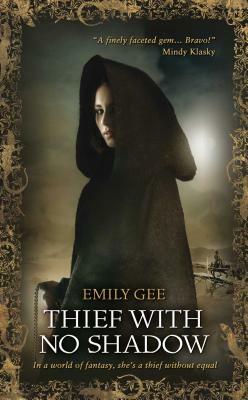 Emily is the daughter of award winning New Zealand author Maurice Gee and 2005 winner of the New Zealand Romance writer award. She loves to travel and has lived and studied in Sweden, backpacked in Europe, and travelled overland in the Middle East, China, and North Africa. Her varied career includes stints as a field assistant in Antarctica, a waitress on the Isle of Skye, and a rehabilitation instructor in New Zealand. She currently works in the wine industry in Marlborough, New Zealand.